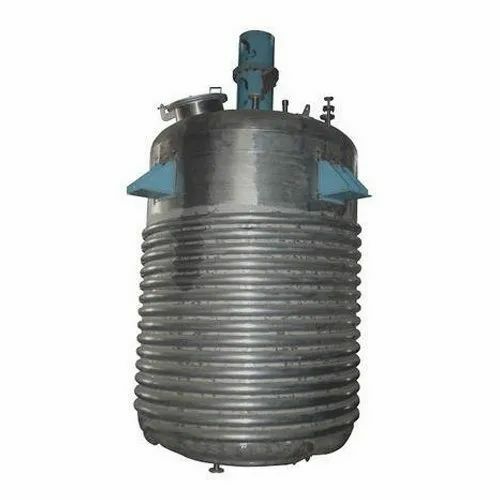 Our organization is counted amongst the most distinguished manufacturers and suppliers of qualitative Limped Coil Vessel. These vessels are manufactured at our state-of-the-art infrastructure facility under the strict supervision of expert professionals. Latest machines and advanced technology are employed by our professionals to fabricate these vessels as per standards and norms of the industry. NSI EQUIPMENTS PVT. LTD. traces its origin way back in 1972, with an extensive 38 years experience is now one of the leading names in the field of process plants and equipments such as CENTRIFUGE, REACTION VESSEL, RIBBON BLENDER ROTARY VACUUM DRYER, ROTARY KILN / DRYER, BALL MILL(BATCH & CONTINUOUS WITH CLASSIFIER) , HEAT EXCHANGER, AIR CLASSIFYING MILL(ACM), JET MILL, DRUM DRYER / FLAKER AND CONVEYOR. We offer end to end solutions ranging from conceptualization to engineering design and fabrication of process plants and equipments for diverse industries like Chemicals, Bulk Drugs, Minerals, Pesticides, Resins etc. NSI Equipments Pvt. Ltd is located at NCR of New Delhi with office at Delhi, Chennai and Pune. The company strictly adheres to international best practices in its entire fabrication process and strive continuously bring out excellence in its product and service. The company''s fabrication unit is fully equipped with performance driven advanced machineries. The company has a team of qualified professionals who keep track on technological advancements and to upgrade the processes to achieve in economics of scale. With its through knowledge of processes, experience, expertise in handling projects, in house manufacturing of wide range of equipments gives it an added advantage of being a single point supplier of equipments to the complete project. "NSIE worked with major leading engineering consultants like M/s. Toyo Engineering India Ltd., M/s. M.N. Dustur & Co. P. Ltd., M/s. FACT Engineering and Design Organisation(FEDO)., M/s. Dalal Mott Macdonald P. Ltd., M/s. Simon Inida Limited.